We all know the importance of Blog. 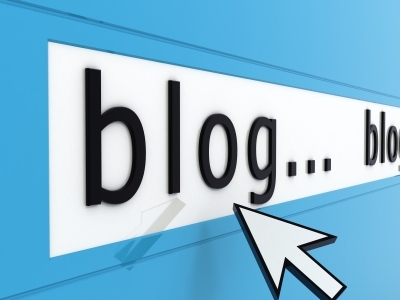 Many of us believe that, Blog is one of the important factors to bring traffic to a website. It’s 100% true. However, many blog owners forget to do one thing. That is ‘promotion’. Still many of the blog owners desperately think about the ways to promote their blogs. If there is no traffic to blog site, then no use of keeping a blog online. I had found difficulties during my earlier time of blogging due to zero traffic. I posted almost 20-25 articles on it to get my first visitor. At present, my website has traffic of 10k-15k visitors every day. In order to optimize your blogs on search engines, use all the keywords and phrases which people use to look for information under your niche. When your website becomes more popular on search engines, you will also improve your page ranking to increase traffic to your website. It’s a very powerful tool that you can rely to get some good amount of traffic from various parts of the world. It helps bloggers to keep in touch with readers forever. Once they subscribe it, they get updates continuously. This means that you will be bringing readers back to your blog every time you make a new blog post. Convert some Blog posts into articles and submit it to various article submission sites. All you have to do is to add more content to your blog posts if necessary, add a catchy article heading and convert it into an article. Writing and submitting articles is one of the most excellent strategies for traffic generation. This is also a very effective strategy. This keeps your readers to stay for a long time on the site and more chances to read your other article (interlinked) as well. Even search crawlers can index all of your articles without failure. Put your blog home page link in signature field while sending mails or participating in forums. This free service allows websites to boost traffic and improve Search Engine Optimization (SEO) using detailed analytics on track copy/paste actions of their visitors. With Tynt, publishers can monitor how and where content is being shared from their website. Copying any part of your content while sharing to their friends, it leaves a link to original site automatically. Write some guest posts on other popular blogs. This helps to get back links as well as popularity to your blog. It helps user feel more comfort and chances are there to get some comments on your article. This also helps publishers to get the relevant information about these users and can keep in touch with them in future. It’s the last but not least point that every publisher should follow strictly. If no quality content, then all the above mentioned points are useless.